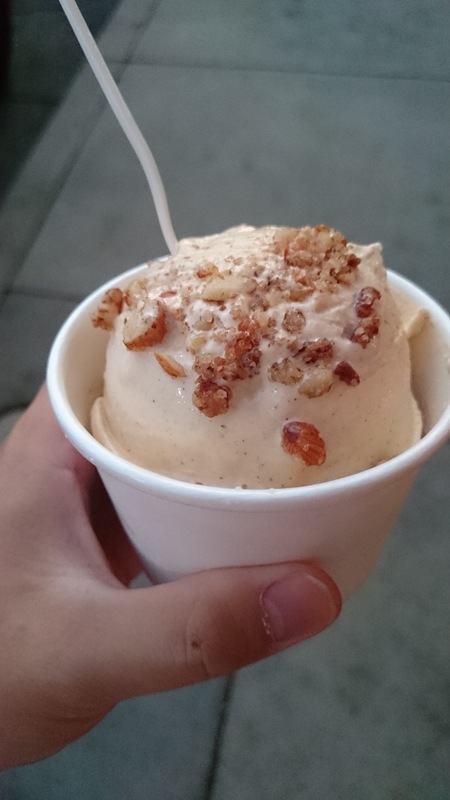 Pumpkin spice ice cream with candied almond and pecan crumble. Pumpkins spice flavor is pumpkin spice wherever you get it at, but that candied almond and pecan crumble is what puts this over the top. So good! So delicious! Also with that said about pumpkin spice, when it comes to ice cream there are differences. 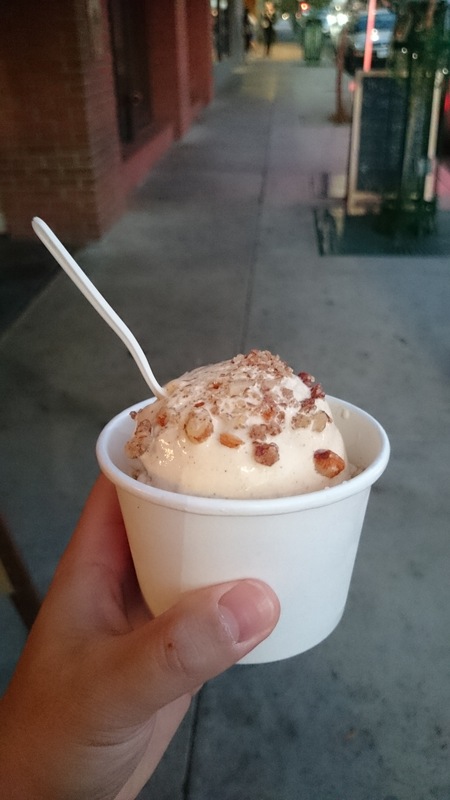 In the case of A La Minute in Downtown Redlands, CA, they use all natural ingredients and then use nitrogen to make the ice cream right then and there. I’m not to sure if this process is what makes their ice cream really creamy, but that’s exactly what their ice cream is like, CREAMY. If you find your way to Downtown Redlands, A La Minute is a must stop by. On Thursday nights you’ll find yourself in a bit of a line since it’s Market Night. I’m craving it right now!